Tailor made to reflect your property’s brand and needs, our multiple bag luggage tags do more with less. Tag multiple items with only one claim stub for your guest. 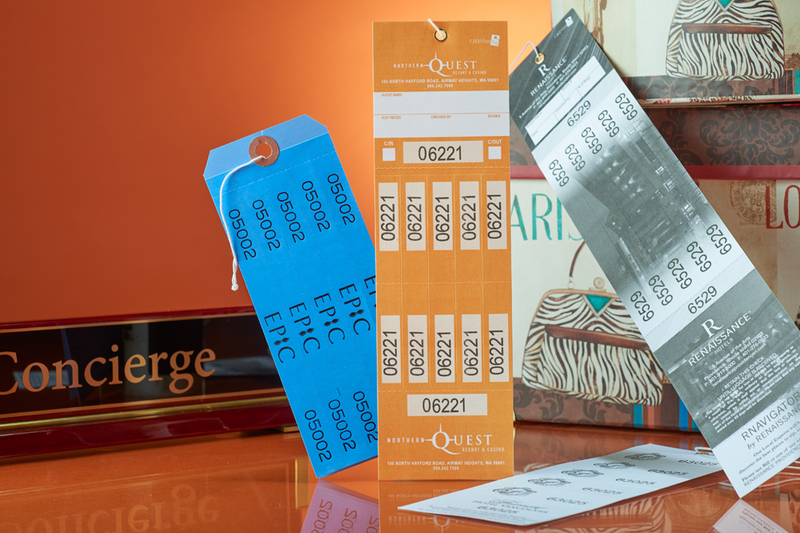 Our multi-tags provide bell service with quick tagging, group storage efficiencies and quick baggage retrieval which saves time, eliminates lost luggage and minimizes liability.